Mark Twain once said, “A lie can travel half way around the world before truth even gets its boots on.” When it comes to reporting on cannabis science, in many ways we’re still traveling barefoot. The recent revelations about the Sugar Research Foundation bribing Harvard researchers to mislead the public on the role of sugar in heart disease is a particularly egregious example of bad science, but outright deception is not the only way that bogus science makes its way into the public dialogue . Researcher bias and a desire for sensational discoveries can also lead to misinformation–especially when it comes to controversial topics like cannabis. Journalists often compound these distortions by hyping dubious science and ignoring research that calls into question conventional wisdom. In assessing the veracity and significance of scientific reports, several questions are paramount: What data is being measured? How does the data relate to the phenomenon being studied? What conclusions are drawn from the data? Are the conclusions justified or do they distort or overstate what the data implies? Consider, for example, a May 2014 article in Pharmacology, Biochemistry and Behavior examining the addictive potential of cannabinoids. The article begins by acknowledging the difficulties in getting rats to self-administer THC, marijuana’s major psychoactive component: “Because ?9-tetrahydrocannabinol (THC) has been a false negative in rat intravenous self-administration procedures, the evaluation of the abuse potential of candidate cannabinoid medications has proven difficult…. Clarification of underlying factors responsible for the failure of THC to maintain self-administration in cannabinoid-trained rats is needed” . Note the assumptions at play here. From the start it is assumed that THC is addictive, and contradictory evidence is rationalized to fit that assumption. The authors acknowledge that THC is not addictive in what they refer to as “the ‘gold standard’ in preclinical assessment of abuse liability,” and so one reasonable conclusion is that THC is not addictive. Alternatively, one can conclude that this “gold standard” model does not capture the complex nature of addiction to cannabinoids. Yet neither of these possibilities are mentioned. Because THC wouldn’t cooperate, the authors utilized a different compound in an experiment that sought to replicate and extend an addiction model that had been successfully performed, but only in a few labs. (Repeating experiments across different lab groups is very important in scientific research.) This model involved the trained self-administration of WIN55,212-2, a synthetic cannabinoid, by rats. WIN55,212-2 (or WIN55, for short) is a potent activator of CB1 and CB2, the same cannabinoid receptors that THC stimulates. But unlike with THC, rats can be trained to self-administer WIN55, which is not derived from marijuana. “The effects of WIN may be more comparable to the frequently abused synthetic cannabinoids, often referred to as K2 and spice, than to marijuana,” University of Pittsburgh scientists reported in a different journal . This is not to say that the authors of the WIN55 experiment intended to deceive or that their research is without merit. The authors do not step beyond their data to make claims about THC or cannabinoids more generally. But from the first sentences of this article, there is an inconsistency between the authors’ assumptions and the data presented. Between 2008 and 2014, the National Institutes of Health spent $1.4 billion on marijuana research. Most of the money ($1.1 billion) was earmarked for abuse and addiction studies. Some of this research has yielded important insights into the endocannabinoid system and its pivotal role in health and disease. For the most part, however, therapeutic-oriented studies have gotten short shrift because of NIDA’s narrow, politicized agenda, which has impeded important areas of research. Because the U.S. Drug Enforcement Administration considers cannabis and cannabinoids to be highly dangerous, studies are rarely performed on humans. Instead, animal models of disease are created, and then these animals are treated with cannabinoids (rarely cannabis itself). But a disease model is not the same as an actual disease, and data from animal studies are not always applicable to human experience. One inherent flaw in animal models is that animals don’t have the exact same proteins, anatomy and brains as people; thus a drug may not have the same effect on a human as a mouse or rat. For example, is precipitated withdrawal–which involves getting an animal addicted to a substance and then blocking the primary receptor at which that substance acts–really an accurate model of withdrawal in humans? Perhaps it makes sense when studying opiate withdrawal, as this technique is sometimes used in rehab clinics. But for cannabis such a withdrawal model may be irrelevant, if not altogether misleading. If we use animals to model human diseases, it is pertinent to ask if stress is a confounding variable: To what extent does the stress of being a lab animal affect the results of the experiment? Are average humans as stressed and oppressed by their environments? It is well known that environment plays a major role in disease: nurture has an impact, as well as nature. A number of studies have documented altered gene-expression in sequestered lab animals. Other research has measured the significant impact of various environmental factors, such as changing the animals’ bedding daily, slightly increasing cage size, being with other animals, allowing the animals to exercise, etc. [4,5]. Scientists have also established that the endocannabinoid system is intimately involved in regulating the biological stress mechanism, as well as social behaviors and fear extinction [6,7,8]. Thus, it is reasonable to expect that even minor stressors would affect the response of the endocannabinoid system to cannabis. Animal studies have implicated cannabinoids in both an increase and decrease in cognitive performance. Some researchers hypothesized that these conflicting results might be a reflection of different environmental stressors. Dr. Patrizia Campolongo and an international team of scientists examined the extent to which WIN55’s effects on memory and learning was influenced by the arousal state, or stress level, of the lab animals . Published in 2013 in Neuropsychopharmacology, this study indicated that the emotional condition of the rats is “a primary factor in determining the outcome of cannabinoid administration on learning and memory.” These findings drew attention to an important (and often overlooked) factor in interpreting endocannabinoid research: environmental stress and its impact on emotional state. Confounding variables are inherent to scientific experimentation. The stress of being a lab animal is a significant variable that is rarely accounted for. Other confounding variables include studying only male mice, although female mice often react differently (this practice is becoming less common), and excluding multiracial individuals from clinical trials. Researchers hope that with enough experiments, the significant confounders are discovered. But it can take many years before hidden assumptions are rooted out, especially when the assumptions align with conventional wisdom. Delicate considerations such as these indicate why science is such a slow process. It takes many experiments–across different models of disease with different animals under different stressors, being handled by different experimenters–before a scientific consensus begins to form. In many ways, science is a field of disproving, wherein researchers whittle away at possibilities until an apparent relationship is left standing. While confounding variables can cause problems in research, simple statistical controls can also mislead interpretation. Take research on cannabis and pregnancy, for example, where women who drink alcohol while pregnant are rarely excluded from studies. Instead of comparing pregnant cannabis smokers who don’t drink to other pregnant women who don’t drink, scientists may attempt to statistically control for the effect of alcohol on the fetus. A simple control would be to look at the impact of alcohol alone, the impact of alcohol and cannabis together, and filter out the effect of alcohol. But this assumes that cannabis and alcohol don’t interact. Some cannabinoids, in fact, exacerbate fetal alcohol syndrome. So simple statistical controls will misrepresent the super-additive toxicity of cannabis with alcohol as the effect of cannabis alone. The interaction could be accounted for with certain statistical procedures, but the researchers would need to decide this before collecting data for such an analysis to remain valid. Although experimentation is the only test of validity in science, researchers can be deceived by their own expectations when interpreting data. In some cases, sweeping claims are made because a minor result coincides with an author’s ingrained bias. Unfortunately, the tendency to overstate claims is not uncommon among scientists, who, despite their pretensions to objectivity and intellectual rigor, are not immune to cultural prejudices that are rampant in society as a whole, especially with respect to cannabis and drug war stereotypes. That’s exactly what happened when researchers at the University of British Colombia (UBC) in Vancouver published an article entitled “D9 -Tetrahydrocannabinol decreases willingness to exert cognitive effort in male rats.” The upshot: THC makes rats lazy and this finding validates what is “well known, anecdotally, that consumption of marijuana leads to a so-called ‘stoner phenotype,’ someone who is not super aggressive about pushing ahead in life, maybe not fulfilling their potential,” according to UBC associate professor Dr. Catharine Winstanley . It’s a huge leap from blitzing a rat’s brain with pure THC to real-world consumption of whole plant cannabis by human beings. Cherry-picking evidence that fit their own preconceptions, the UBC team misconstrued the THC-addled rats’ lack of interest in food as proof that smoking marijuana turns people into unmotivated slackers. This slant was played up in a litany of credulous media reports after a UBC press release announced the first “scientific confirmation” that marijuana makes people lazy. By 2005, Donald Tashkin and his UCLA colleagues had amassed considerable indirect evidence implying that smoking marijuana causes cancer. Supported by federal research grants, they demonstrated that marijuana smoke contains more carcinogens than tobacco smoke and that phytocannabinoids in cannabis can alter the metabolism of carcinogens [12,13]. Dr. Tashkin hypothesized that marijuana smokers are at a greater risk of oral and lung cancer than tobacco smokers. But that’s not what he found when he later surveyed the prevalence of cancers in marijuana smokers, tobacco smokers, and people who smoked both or neither. He duly reported at the 2006 meeting of the International Cannabinoid Research Society that cannabis use does not promote cancer, according to his survey . How can this be explained if there truly are more carcinogens in cannabis smoke? The contradiction lies in the reductionist approach that focuses on a single factor: in this case, using carcinogen content as the sole measure of what causes cancer. As an analogy, consider a diabetic choosing between snacks. A good rule of thumb is that the snack with less sugar and less calories will be healthier. Yet who would claim that a Diet Coke is healthier than an apple? Comparing sugar and caloric content may give a good guess as to which option it healthier, but it will not always be right. The same goes for cancer. Comparing the amount of carcinogens in two compounds may give a good indication of which is more likely to cause cancer, but it can lead to false conclusions if other criteria are ignored. In this case, it appears that the anti-cancer properties of inhaled cannabinoids are more potent than the carcinogens in the marijuana smoke, although the effect may be due to other factors, as well. There is extensive preclinical evidence (research in cells and animals) demonstrating the potential anti-cancer effect of cannabinoids [15,16,17]. Dr. Tashkin could have easily drawn false conclusions from his earlier studies and promoted them as fact. But he did not allow his expectations to skew his research. Yet to this day, Tashkin’s preliminary data on carcinogenic content is cited as evidence of marijuana’s harm by federal and state officials who ignore his subsequent findings. The California Environmental Protection Agency includes marijuana smoke–but not the plant itself–on its official list of carcinogens . The real-world consequences of misunderstood science can be huge. In 2012, Clinical Biochemistry published data from a North Carolina hospital that called into question the accuracy of drug testing babies . The journal revealed that a number of false positive tests for THC were due to exposure to chemicals in baby wash products. A few months later, this study was picked up and widely circulated by mass media, but like a game of telephone the message and context became garbled. Some news and popular media outlets, including The Colbert Report, incorrectly reported that certain baby wash products actually contain THC . Meanwhile, an important story was missed. The nurses used baby wash at the hospital, and “at risk” mothers were drug tested. These moms were often reported to social services after their babies’ drug tests came back positive. Consequently, many of these mothers had their children taken from them at birth. Drug testing the children of “at risk” mothers is a pretext for targeting poor, single, and non-white women. This practice persists in U.S. hospitals, despite the federal government’s assessment that it is not a beneficial intervention for either mother or child . Integral to this story is the human cost of false positives and the reason why some newborns are tested for drugs in the first place. Although misrepresentation casts a shadow on scientific research, it does not diminish the significance of research and experimentation. This article is not meant as an indictment of science or individual researchers, but as an explanation of how personal biases and beliefs can be misconstrued as scientific fact by both media and researchers themselves, whether intentionally or not. [Abstract] Kearns CE, Schmidt LA, Glantz SA. Sugar Industry and Coronary Heart Disease Research: A Historical Analysis of Internal Industry Documents. JAMA Intern Med. 2016 Sep 12. [Full Text] Lefever TW, Marusich JA, Antonazzo KR, Wiley JL. Evaluation of WIN 55,212-2 self-administration in rats as a potential cannabinoid abuse liability model. Pharmacol Biochem Behav. 2014 Mar. [Abstract] Kirschmann EK, Pollock MW, Nagarajan V, Torregrossa MM. Effects of Adolescent Cannabinoid Self-Administration in Rats on Addiction-Related Behaviors and Working Memory. Neuropsychopharmacology. 2016 Oct 5. [Full Text] Gurfein BT, Stamm AW, Bacchetti P, Dallman MF, Nadkarni NA, et al. The calm mouse: an animal model of stress reduction.Mol Med. 2012 May 9. [Full Text] Lehmann ML, Herkenham M. Environmental enrichment confers stress resiliency to social defeat through an infralimbic cortex-dependent neuroanatomical pathway. J Neurosci. 2011 Apr 20. [Abstract] Morena M, Patel S, Bains JS, Hill MN. Neurobiological Interactions Between Stress and the Endocannabinoid System. Neuropsychopharmacology. 2016 Jan.
[Abstract] Jenniches I, Ternes S, Albayram O, Otte DM, Bach K, et al. Anxiety, Stress, and Fear Response in Mice With Reduced Endocannabinoid Levels.Biol Psychiatry. 2016 May 15. [Abstract] Achterberg EJ, van Swieten MM, Driel NV, Trezza V, Vanderschuren LJ. Dissociating the role of endocannabinoids in the pleasurable and motivational properties of social play behaviour in rats. PharmacolRes. 2016 Aug.
[Full Text] Campolongo P, Morena M, Scaccianoce S, Trezza V, Chiarotti F, et al. Novelty-induced emotional arousal modulates cannabinoid effects on recognition memory and adrenocortical activity. Neuropsychopharmacology. 2013 Jun. [Full Text] Silveira, MM, Adams WK, Morena M, Hill MN, Winstanley CA. D9 -Tetrahydrocannabinol decreases willingness to exert cognitive effort in male rats. J Psychiatry Neurosci. 2016 Aug 23. [Abstract] Drewnowski A, Grinker JA. Food and water intake, meal patterns and activity of obese and lean Zucker rats following chronic and acute treatment with delta9-tetrahydrocannabinol. Pharmacol Biochem Behav. 1978 Nov.
[Abstract] Wu TC, Tashkin DP, Djahed B, Rose JE. Pulmonary hazards of smoking marijuana as compared with tobacco. N Engl J Med. 1988 Feb 11. [Abstract] Roth MD, Marques-Magallanes JA, Yuan M, Sun W, Tashkin DP, et al. 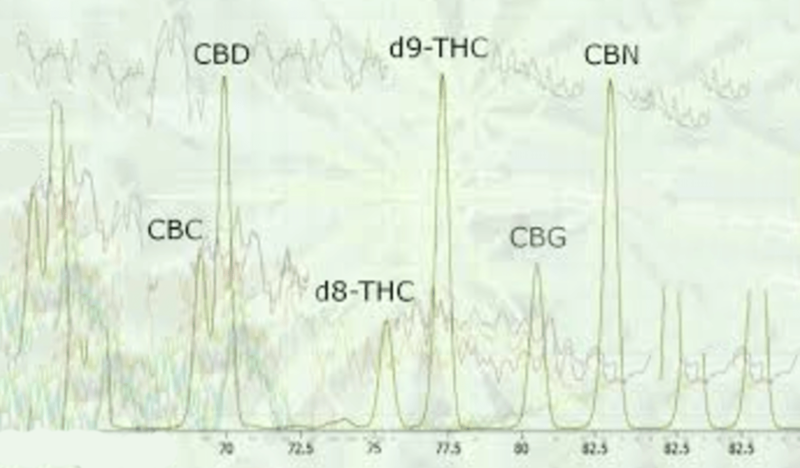 Induction and regulation of the carcinogen-metabolizing enzyme CYP1A1 by marijuana smoke and delta (9)-tetrahydrocannabinol. Am J Respir Cell Mol Biol. 2001 Mar. [Full Text] Hashibe M, Morgenstern H, Cui Y, Tashkin DP, Zhang ZF, et al. Marijuana use and the risk of lung and upper aerodigestive tract cancers: results of a population-based case-control study. Cancer Epidemiol Biomarkers Prev. 2006 Oct.
[Full Text] Velasco G, Sanchez C, Guzman M. Anticancer mechanisms of cannabinoids. Curr Oncol. 2016 Mar. [Full Text] Massi P, Solinas M, Cinquina V, Parolaro D. Cannabidiol as potential anticancer drug. Br J Clin Pharmacol. 2013 Feb.
[Full Text] Velasco G, Hernandez-Tiedra S, Davila D, Lorente M. The use of cannabinoids as anticancer agents. Prog Neuropsychopharmacol Biol Psychiatry. 2016 Jan 4. [Abstract] Cotten SW, Duncan DL, Burch EA, Seashore CJ, Hammett-Stabler CA. Unexpected interference of baby wash products with a cannabinoid (THC) immunoassay. Clin Biochem. 2012 Jun. [Full Text, see chapter 3] Polen MR, Whitlock EP, Wisdom JP, Nygren P, Bougatsos C. Screening in Primary Care Settings for Illicit Drug Use: Staged Systematic Review for the United States Preventive Services Task Force. Rockville (MD): Agency for Healthcare Research and Quality (US); 2008 Jan.